This collection to debut exclusively in UNIQLO Fahrenheit 88 on 15th April UNIQLO announces the global launch of a new collection of tennis apparel, closely modeled on match kits worn by Novak Djokovic –the world’s top-ranked men’s professional tennis player - at each of his last four Grand Slam tournaments. 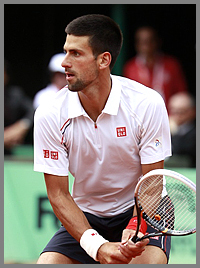 UNIQLO has been the exclusive designer of tournament match wear for Mr. Djokovic since he became a UNIQLO Global Brand Ambassador in May 2012. Starting with the 2012 French Open, Mr. Djokovic has now competed at all four Grand Slam tournaments wearing match wear created by UNIQLO, including his recent triumph at the 2013 Australian Open. UNIQLO Design Director Naoki Takizawa worked extremely closely with Mr. Djokovic to develop tennis apparel that matches his uncompromising standards of performance excellence. Inspired by the Tricolour, the national flag of France, UNIQLO created Mr. Djokovic’s match wear kit for the first time for the 2012 French Open. The design team also drew inspiration from the famous red clay courts of Roland Garros and Mr. Djokovic’s deep affection for the host country. UNIQLO customers can choose from a select range of polo shirts and shorts for men modeled on this stunning kit. The design for Mr. Djokovic’s Wimbledon match wear comes from the necktie he received after winning his first Wimbledon title in 2011. The purple and dark green stripes of this prized necktie were subtly incorporated into Mr. Djokovic’s match whites as a sign of his appreciation for this gift and his pride as defending men’s singles champion. UNIQLO customers can enjoy the traditional look offered by this range, which features polo shirts and shorts. In tribute to the host country, Mr. Djokovic’s kit for the 2012 US Open featured red and navy blue as base colours, two of the primary colours of the American flag. The asymmetric colour lines around the sides and over the right-hand shoulder, also a feature of the design for Mr. Djokovic’s French Open match wear, accentuate his superbly dynamic serving action. 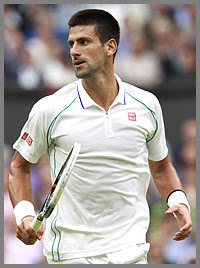 The UNIQLO range modeled on this striking match wear features eight items, including stylish warm-up jackets and pants. 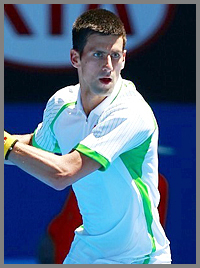 Marking the start of his partnership with UNIQLO’s corporate social responsibility program, Mr. Djokovic personally selected green for his match wear for the 2013 Australian Open to highlight awareness for ecological and environmental causes. The range for UNIQLO customers features a selection of six great items that are sure to inspire the club and casual tennis players who watched Mr. Djokovic’s thrilling victory in Melbourne.